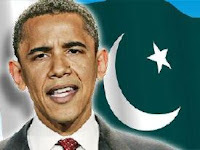 President Barack Hussein Obama has had close connections with Muslims and Pakistanis. For example, his father was a Kenyan Muslim and his stepfather was an Indonesian Muslim. Obama also had Pakistani roommates during college days, with whom he visited Pakistan. According to his staff, Mr. Obama visited Pakistan in 1981, on the way back from Indonesia, where his mother and half-sister, Maya Soetoro-Ng, were living. He spent “about three weeks” there, Mr. Obama’s press secretary, Bill Burton, said, staying in Karachi with the family of a college friend, Mohammed Hasan Chandoo, but also traveling to Hyderabad, according to the New York Times. Mr. Obama, his staff and his publisher have not provided any details about the identity of Sadik, according to the Times report. During his years at Occidental College, Mr. Obama also befriended Wahid Hamid, a fellow student who was an immigrant from Pakistan and traveled with Mr. Obama there, the Obama campaign said. Mr. Hamid is now a vice president at Pepsico in New York, and according to public records, has donated the maximum $2,300 to the Obama campaign and is listed as a fund-raiser for it. Mr. Chandoo is now a self-employed financial consultant, living in Armonk, N.Y. He has also donated the maximum, $2,300, to Mr. Obama’s primary campaign and an additional $309 for the general election, campaign finance records show. WASHINGTON, June 20: US President Barack Obama, in an exclusive interview to Dawn, has said that he believes the Pakistani state is strong enough to win the military offensive against the extremists. In this first-ever one-on-one interview by any US president to the Pakistani media, Mr Obama assured the Pakistani nation that he has no desire to seize Pakistan’s nuclear weapons or send US troops inside the country. The US president also emphasized the need for resuming the dialogue process between India and Pakistan, which was stalled after the Mumbai terrorist attacks in November last year. The interview covered a wide-range of subjects — from the controversy involving the Iranian presidential election to Mr Obama’s speech in Cairo earlier this month in which he called for a new beginning between the Muslim and the Western worlds. The venue, the White House diplomatic room with murals of early settlers, brought out the importance of Mr Obama’s historic victory in last year’s general election. Close to the murals — under the watchful eyes of George Washington — sat a man who overcame gigantic hurdles to become America’s first non-White president. Here was a man tasked with finding a graceful end to two unpopular wars — in Iraq and Afghanistan — and to steer America, and the rest of the world, out of an unprecedented economic crisis. Yet, when he strolled into this oval-shaped room, Mr Obama seemed completely at ease with himself. Tall and slim, the 47-year-old US president had the youngish looks of a man who works out daily. He walked straight towards the camera, greeting everyone, shook hands, occupied the chair reserved for him, and started talking about how he had a special affection for Pakistan and its people. The US and the West, he said, had been very clear that this was not an issue between the West and Iran; this was an issue about the Iranian people seeking justice and wanting to make sure that their voices were heard. “And it’s unfortunate that there are some inside Iran and inside that government that want to use the West and the United States as an excuse,” he said. “Your speech in Cairo indeed was a speech that created a lot of stir, both in the US and in the Muslim world. Was it the beginning of something bigger to come, or was it just a one-off thing? he was asked. “No, I think that this is going to be a sustained process. As I said in Cairo, one speech is not going to transform policies and relationships throughout the Middle East or throughout the world,” Mr Obama responded. “But what I wanted to do was to describe very clearly that the United States not only respects Muslim communities around the world but that there’s an opportunity for I think a new day, where there’s mutual understanding, mutual tolerance; where the United States is seen as somebody who stands with people in their daily aspirations for an education for their children, for good jobs, for economic development,” he said. “And just as the United States at times has, I think, not fully understood what’s happening in Muslim communities, sometimes there have been countries that haven’t understood the rich history of Muslims in America,” he added. Mr Obama then explained how he plans to further expand the peace process he introduced in Cairo. Mr Obama explained that he has been “very aggressive” in saying that Israelis and Palestinians have to resolve their differences and create two states that can live side by side in peace and security. He said he also has put forward a special envoy, George Mitchell, a former majority leader of the US Senate, to work with the parties involved. His comments led to a larger discussion on Pakistan and the issues confronting this nation of 170 million people. “Well, let me make two points. Number one, nobody can or should push the Pakistani government. The Pakistani government is accountable to the people of Pakistan,” said Mr Obama. “I think the Pakistani government and the people of Pakistan recognise that when you have extremists who are assassinating moderate clerics like Dr Naeemi, when you have explosions that are killing innocent women and children, that that can’t be the path for development and prosperity for Pakistan,” he said. “And so there’s been a decision that’s made that we support, that the Pakistani military and the Pakistani government will not stand by idly as extremists attempt to disrupt the country,” Mr Obama said. “But ultimately these are decisions to be made by the Pakistani government and the Pakistani people. What the United States believes is, is that we are a partner in will telecast the full interview at 12 noon today (Sunday) and repeat it at 14:30, 16:30 and 18:30. “I have confidence in the Pakistani people and the Pakistani state in resolving differences through a democratic process and to isolate extremists. Dating back to Jinnah, Pakistan has always had a history of overcoming difficulties. There’s no reason why it can’t overcome those difficulties today,” Mr Obama said. “Going back to what we discussed about the Muslim world, there are issues that are too difficult even to discuss – for instance, the Indians don’t even want the ‘K’ word (Kashmir) to be mentioned to them. In your inaugural speech you did mention Kashmir and after that it had been absent from your statements and those of other officials in your administration. Why?” he was asked. “I don’t think that we’ve been silent on the fact that India is a great friend of the United States and Pakistan is a great friend of the United States, and it always grieves us to see friends fighting. And we can’t dictate to Pakistan or India how they should resolve their differences, but we know that both countries would prosper if those differences are resolved,” said Mr Obama. “And I believe that there are opportunities, maybe not starting with Kashmir but starting with other issues, that Pakistan and India can be in a dialogue together and over time to try to reduce tensions and find areas of common interest,” he said. Mr Obama noted that recently the Indian and Pakistani leaders met at a regional conference in Russia. Although they did not hold an extensive conversation, it was the start of what may end up being more productive talks in the future. His main concern, said Mr Obama, was to make sure that the Taliban and other extremist organisations were not taking root in South Asia, Afghanistan and the Middle East. “And we want to partner with everybody to make sure that this cancer does not grow. One of the things that I said in my speech in Cairo is that Islam has an extraordinary tradition of tolerance and peaceful coexistence and that tradition is being distorted and being warped,” he said. “We do not want to be in a position where we’re having to send troops to Afghanistan, for example. We would love the Afghans’ government to be secure and stable so that it can ensure that it does not become a safe haven for organisations like Al Qaeda,” he said. “We would much prefer being a partner with countries like Afghanistan or Pakistan, and simply work together on issues of common interest like commerce and increasing trade and improving development in all countries,” he said. Responding to a question about drone attacks inside Pakistan’s tribal zone, Mr Obama said he did not comment on specific operations. The US, he said, was focussing on helping those displaced during recent military operations. “I would love to visit. As you know, I had Pakistani roommates in college who were very close friends of mine. I went to visit them when I was still in college; was in Karachi and went to Hyderabad. Their mothers taught me to cook,” said Mr Obama. “Oh, keema … daal … You name it, I can cook it. And so I have a great affinity for Pakistani culture and the great Urdu poets. “Absolutely. So my hope is that I’m going to have an opportunity at some point to visit Pakistan,” said Mr Obama. “And obviously one of the things that I think ties our countries together is the extraordinary Pakistani-American community that is here in the United States who are thriving and doing great work as physicians and as lawyers and as business people. And one of the great opportunities I think for Pakistan is to be able to draw on all this talent and extraordinary entrepreneurship to help provide concrete benefits to the Pakistani people, and I think that’s one of the biggest challenges for Pakistan,” he said. “Well, my view is, is that we have to help Pakistan – to provide them the resources that will allow for development. Now, we have in the past supported, I think, Pakistan militarily. I think it is important to make sure that military support is directed at extremists and our common enemies,” said Mr Obama. “But I also think that the relationship between the United States and Pakistan can’t just be based on military-to-military cooperation. It’s got to be based on something richer that involves development and exchanges of students and business people. And so we want to encourage that kind of work, as well,” he said. “You know, I have to say that I have tried to get up to bat a couple of times, but I’ve been terrible. So I’m an admirer of great cricket players, but make no claims in terms of my own skills,” said Mr Obama, breaking into a broad smile. Pakistan Crowned T20 World Champs!